One our simpler designs, this jacket is one in the Not Quite a Sweatshirt Jacket, Sweatshirt Jacket series. 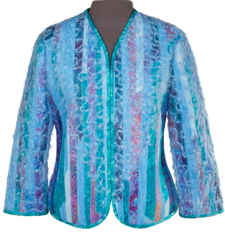 One of our simplest jackets to make, on a sweatshirt fabric foundation base, embellished with eyelash yarn. Micro-Fleece is also suitable for a base fabric that feels like a sweater, on this fun and scrappy look. 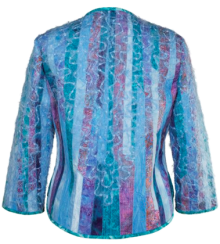 For a close fitting jacket pattern choose the Slender/petite with this design, sized for bust 32-44. 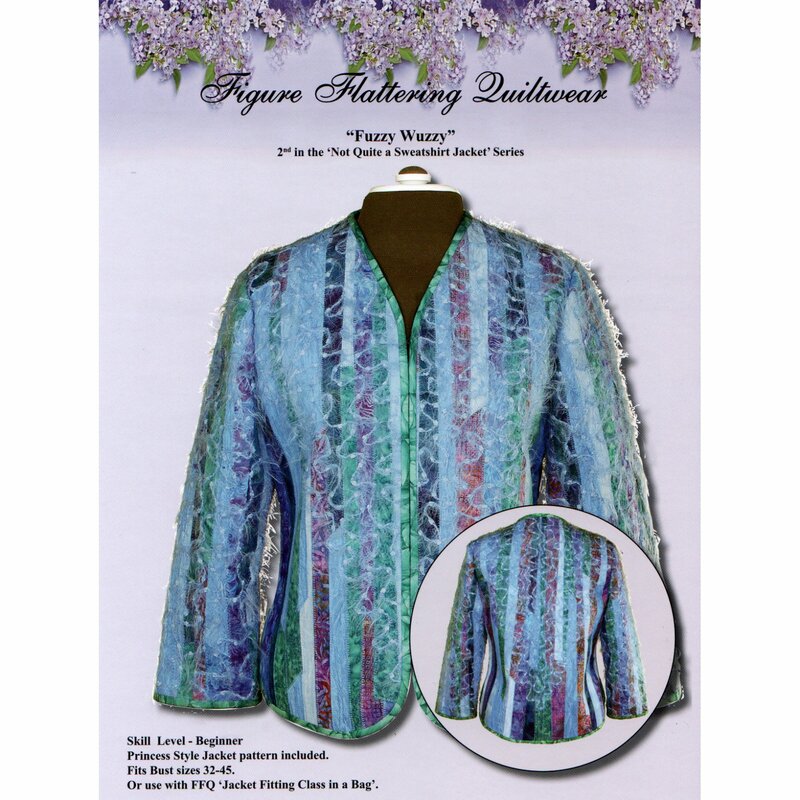 However, this design can be used with FFQ's custom jacket pattern or with most any pattern suitable for quiltwear.